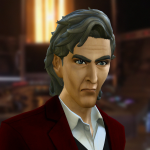 How long do you guys spend in CAS? How long do you guys spend creating your sims? It's really crazy to think that some people can spend 15 mins on a sim haha, I usually take 1 1/2 to 3 hours creating sims. I like to tweak everything to perfection. I might show you guys some pics later. I am a Popsicle. I am Panda. I am a pop and I am a sicle. I am the eternal god of randomness. DEAL WITH IT. hiiiiiii I decided to show a picture. This is a rebellious teen. 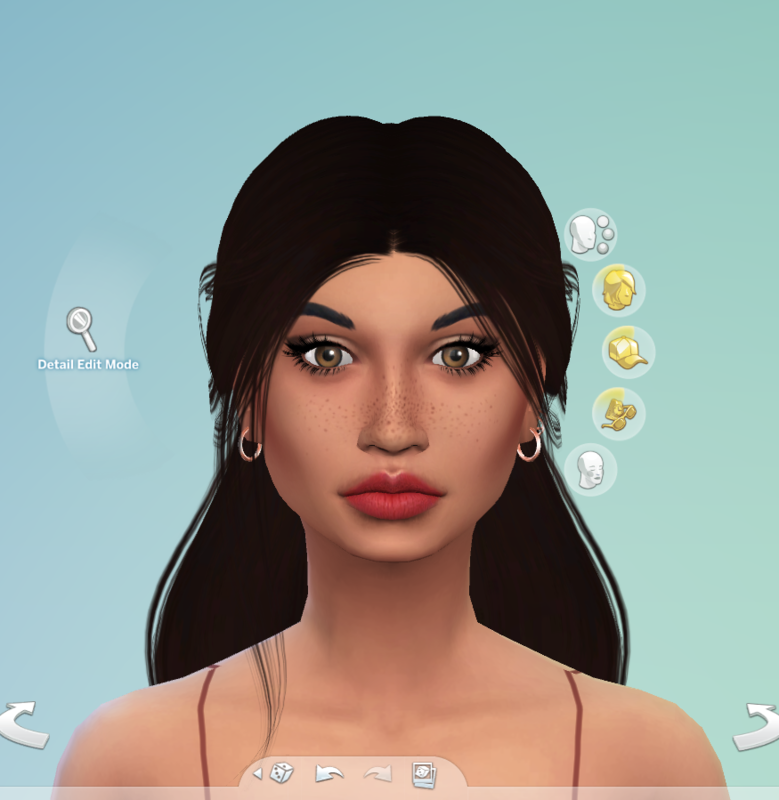 I just got parenthood so I decided to make her for one of the families. I think she turned out pretty good. I don't use that much CC. I hope you guys like it! Sometimes hours, other times days, occasionally I might get one done in a few hours, @Unitii She is lovely. Thank you! When someone tells me they spend 20 mins son a sim I’m like how??? 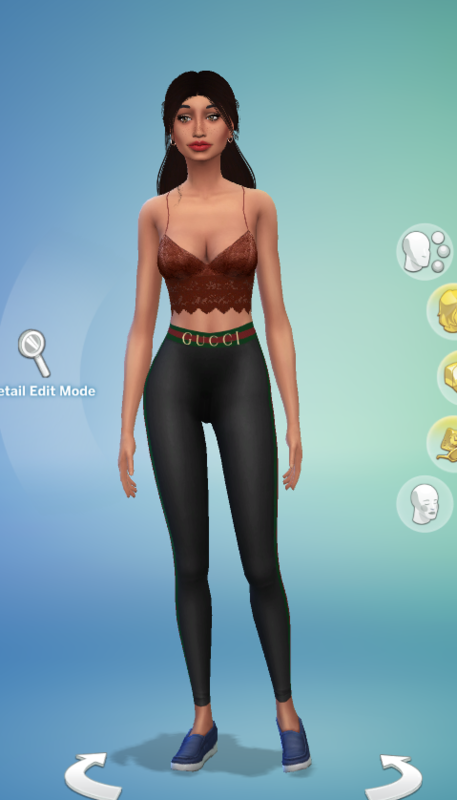 I spend scads of time creating a Sim. at least an hour. the biggest reason I spend so long is bc I like to create multiple outfits for absolutely everyone.... I mean, for me it takes away some realism to see the same Sims wandering around in the same outfit day after day after day. gotta change it up a bit! #multipleoutfits FOR LIFE. Me too, @missmerize I give them 5 different everydays and 1 of each of the other types. So if you are writing a story, you don't have to try and remember to change outfits all the time, they do it automatically after showering. It depends on whether I have all the CC picked out or not... if I do, it's more a case of me just clicking through the options and getting them done. But even that actually takes me at least 30 minutes, as I like to have outfits for everything. Usually making a Sim will take me an hour or more. I spend a lot of time tweaking facial features and body parts aha! ~ Just fixing the NPC's the game throws out, I spend any were from a couple of hours, to 3 or 4 hours,there is no time limit,but I could not imagine any one creating a Sim in 15 minutes, I have tried, but the shortest time I have ever made a Sim was one & a half hours & that was for the challenge were you click the dice, I still had to dress them! ~ Most of my households us Game content only,as I have over 136 households I play,in one of 6 saves(7 if you count my unplayed Murkland) each save has a different number of household saves & most have families or households from the beginning of Sims 4,a lot made in the Demo too! ~ I play on rotation,to keep playing,other wise I think I would have become too bored & left playing this game a long time ago! I've spent between half an hour to a few weeks on Sims in this game. 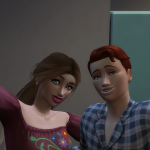 All the earlier games, I spent maybe 10-15 minutes creating an entire household. 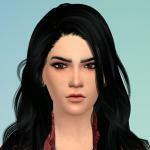 ~ Wow impressive, I always take so long making Sim,Sims 4 have been the quickest so far,as Sims 2,were never right, so took the longest,I spent so much time making Sims over the years,if I was paid I would be very rich by now,all that time! For a game!LOL! ~ I found the newer the Sims got the easier to make,but I still spend a lot of time making each Sim! i spend days in CAS. haha. i like to start one, then look at it the next day with fresh eyes and change the things i thought looked the day before. 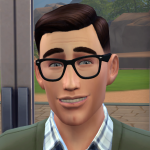 Your sim is cute, OP! Same as most people said here, I spend hours on a sim, at the minimum, but sometimes - like the sim I have open in CAS right now - I'll work on for days. I like giving them multiple outfits, too. 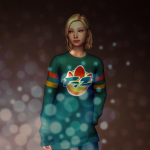 And I loves me some CC - I'll get an idea for something I want to put on a sim, or a specific hairstyle, and I'll get out of the game to go find cc for it, then go back in. I would save a lot of time if there was a way to refresh my cc from within the game! I think it makes it more challenging when you don't utilise CC. I used to use CC a while back which was awesome and I loved taking screenshots of all my mega smokin' Sims. but I also really enjoy sharing my creations, and it takes some of the fun out of it when you share your CC creations to gallery and cross your fingers that people have the same CC or will take the time to download what you use in order to get the full experience. it's just a whole thing. so with limited clothing options, you really gotta get creative! and I think I'm better for it. Sometimes I'll spend hours and hours and not even realize that the sun's almost up! But that's usually with large families and or building or adding on to their house. Can you show a pic of that celebrity? Looks interesting. Awesome! I do think CC would make him look more real, but it sounds interesting! Hours... Days... A couple of times it's been weeks or longer. I tend to go back and edit some sims multiple times and for long periods of time here and there until I get them right. But usually an hour or two each one. In short however, I concur with the above comment. Way.Too. Much. Also @Unitii your girl is gorgeous! I love her freckles, they are adorable and her face is just beautiful. It depends, if I'm making just one sim (which let's be real, I usually make at least 3+) it can take about 30-40 minutes. BUT if I'm making one for challenge purposes it takes at least an hour. Double or triple that if I'm making a household.